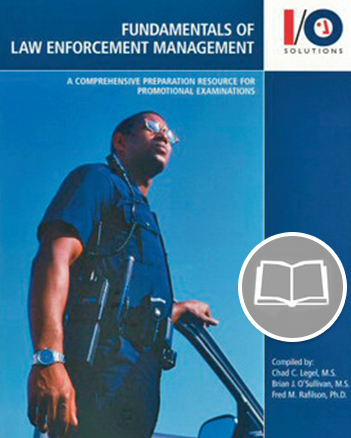 No longer is it necessary to read five or six different texts to prepare for your law enforcement promotional examination. 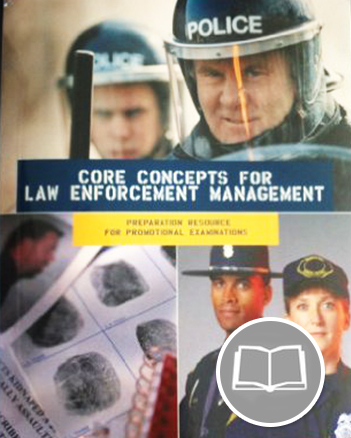 Fundamentals of Law Enforcement Management provides an integrated selection of leading management, administration, field operations, training, community policing and criminal investigation training texts, valued at over $400, into one comprehensive preparation resource. No longer is it necessary to read five or six different texts to prepare for your law enforcement promotional examination. Fundamentals of Law Enforcement Management provides an integrated selection of leading management, administration, field operations, training, community policing and criminal investigation training texts, valued at over $400, into one comprehensive preparation resource. Use Fundamentals to prepare for your next promotional examination or to start gaining the knowledge necessary to succeed as a law enforcement supervisor. For use with all exams in the Fundamentals of Law Enforcement series (First Line Supervisor, Middle Manager and Upper Command). This is a hard copy/printed version of the textbook. Upon purchase, it will be sent to you via the shipping method of your choice. Please note that the purchase of this material is non-refundable.